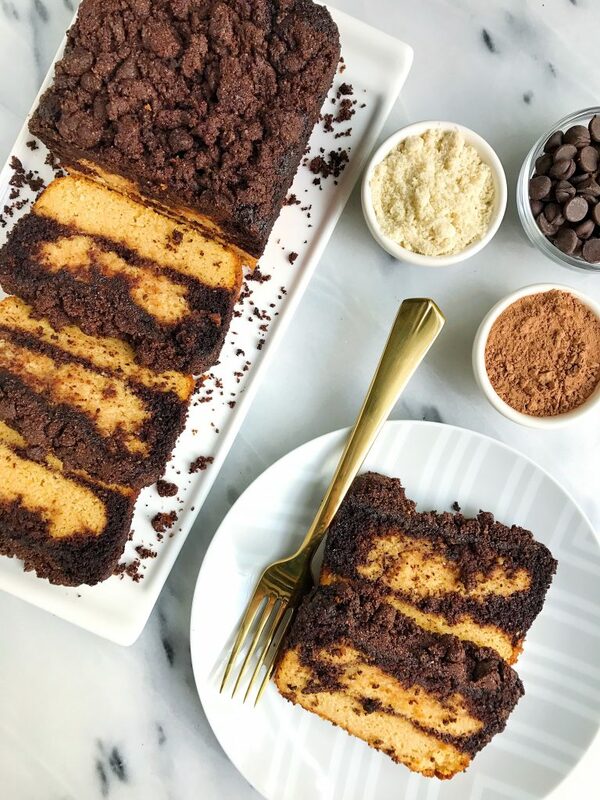 Paleo Dark Chocolate Marble Sweet Potato Loaf for an easy refined sugar-free sweet bread! I am about to make a very bold statement. This is my favorite recipe EVER. 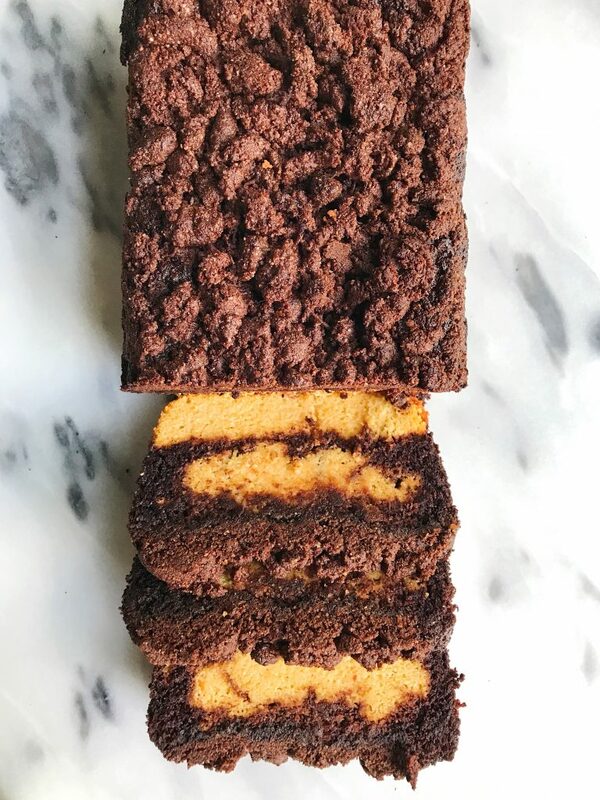 Paleo Dark Chocolate Marble Sweet Potato Loaf has officially won over my heart, soul and every ounce of space in my stomach. I am a sucker for any bread/loaf recipe, that is for SURE. I so did not expect to love this bread so much, especially since I am pretty new to the whole sweet potato-loving crew. I never really enjoyed them until recently when I was in San Diego and had the best crispy thin-cut sweet potato fries ever. Since then I have been craving them like crazy and love finding unique ways to use them. This bread is absolutely a unique way to use sweet potatoes. I totally underestimated the usage of them and am so pleasantly surprised with how this loaf came out. Not to mention it has a dark chocolate loaf layer and a crumble on top! It is super moist (yes, whatever I love that word) and has no refined sugar, grains, gluten or dairy! There are three parts to this recipe so it definitely looks a little intimidating but I promise you it is much easier to make than it appears! 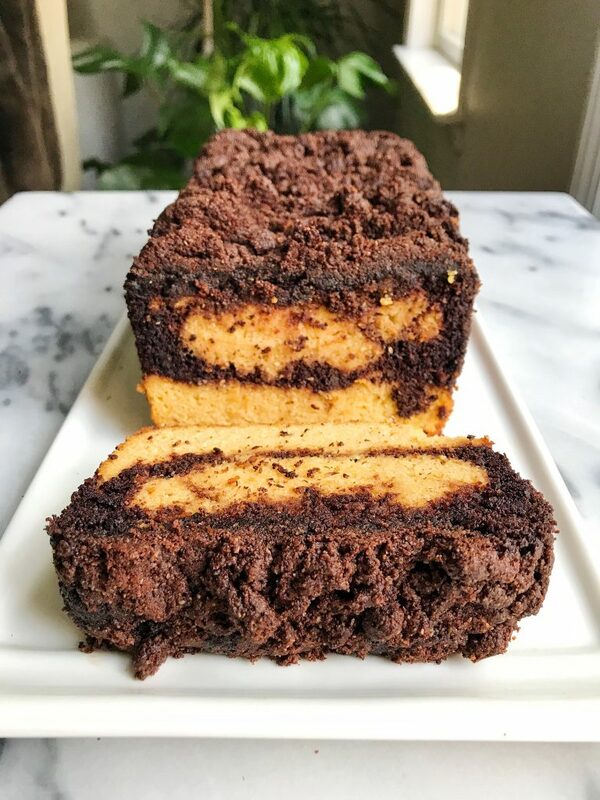 One layer is a homemade sweet potato bread recipe then the other two chocolate layers use Simple Mills Chocolate Muffin Mix aka my go-to baking mix for everything. They are such a game changer in the food space and I am so grateful for products like theirs. 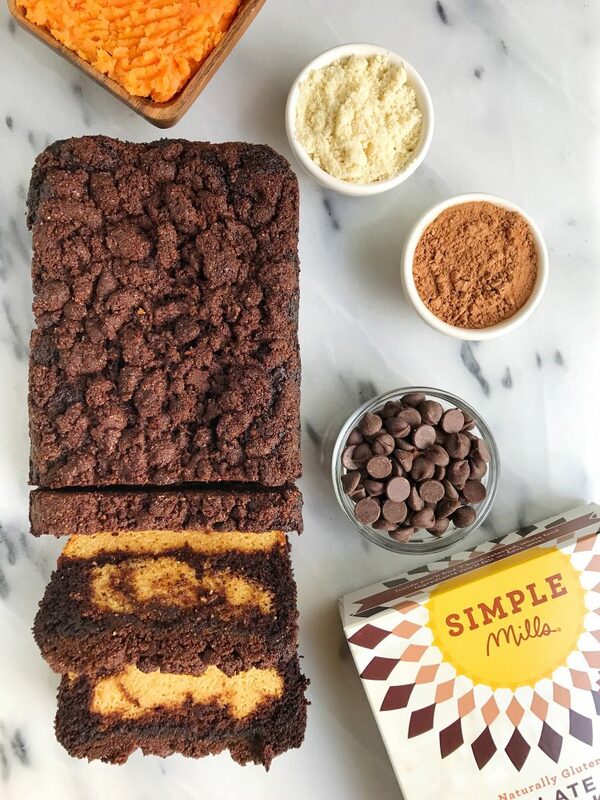 Simple Mills makes a variety of grain-free and coconut sugar-sweetened baking mixes, pizza mixes, breads and now they even have ready-to-eat products like cookies and various crackers. It is unreal how delicious it all tastes and they use ingredients that I use in my own home. So pretty much if I were to make a cupcake from scratch, it would be using the same ingredients Simple Mills uses too. *Will stay good for 5 days or keep in fridge/freezer for longer! Thank you Simple Mills for sponsoring this post. It means so much to me to work with brands that I love and who support rachLmansfield! Hi! love this one! but I don’t live in the US. how can I make this without the muffin mix? OMG, I have to taste this thang!!! Rachel, you’re amazing! This looks amazing! Would organic canned sweet potato work? Hi girly! HUGE fan of your work. You have such a gift! What do you suggest for mini loaves? Baking time? How many would one batch make? I want to make this for gifts! Also, would it work with flax eggs?! i haven’t tried flax eggs! Would honey work in place of the maple syrup? Thanks! I made this!!! It is so so good and I’m already planning on making it again! I don’t see where the chocolate chips come into the recipe though? They were not in the list of ingredients but they were in the picture!